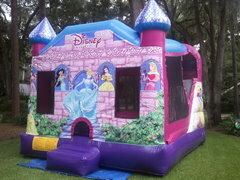 Bounce House Rentals | JumpAroundPartyRental.com Lakeland FL. 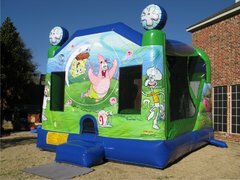 Bounce Houses are America's favorite event and party attraction, and JumpAroundPartyRental.com has the best selection of excitement packed bouncers and moonwalks. 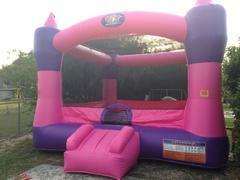 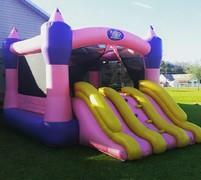 Our bounce house rentals have additional elements for more fun, like our dual side Princess Combo! 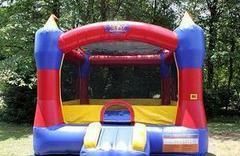 All of our bounce house rental units are manufactured from "lead-free" vinyl, and are cleaned and sanitized before every rental for child's and guest's safety. 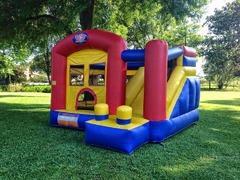 Browse the selections below and click on the image or "More Info" link to get additional information and to make a reservation. 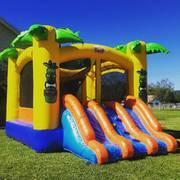 Package discounts available for multiple units!